Bundesliga | Philipp Lahm on retirement at Bayern: I hope the final months will be "very successful"
Philipp Lahm on retirement at Bayern: I hope the final months will be "very successful"
Philipp Lahm was still holding the bouquet of flowers to mark his 500th appearance for FC Bayern München when he announced his decision to retire from football at the end of the season. Bring Philipp Lahm into your Official Fantasy Bundesliga team for the rest of the season by clicking here! "I've let the club officials know that at the end of the season I will stop playing," the captain of the record German champions said after the 1-0 win against VfL Wolfsburg in the last 16 of the DFB Cup. The 33-year-old then went on to explain the reasons for his decision. Question: Philipp, could you give us a bit more information about the possible end of your career? Philipp Lahm: I wanted to wait until the board of directors meeting so that absolutely everyone was informed. I've let the club officials know that at the end of the season I will stop playing football. I've already spent a lot of time explaining what the reasons are. I see my style of leadership as ensuring that I give my best every day - in every training session and every game. I believe that I'm capable of doing that until the end of the season, but not beyond that. As a result it was clear to me that I would retire at the end of the season. Question: When did this decision come about? Lahm: I've been pushing it for about a year, but you always have to review and call things into question. Day by day you have to see how you are on the training ground and how you're feeling. I'm certain that I can still deliver my top performances until the end of the season and that for the young players and everyone else I can be a role model. I think I can manage that until the end of the season - there are only a couple of months left. But not beyond that. Question: Will you be active after that in another form with Bayern? Lahm: There were discussions. At the end of those conversations I decided that now is not the right time to get involved with FC Bayern in a different capacity. Question: Would it have been too dangerous for you, three weeks after playing, to already take part in another role? Lahm: I don't want to disclose any details of our talks. I would not have started immediately – there would have been a small break. I would have needed it too. I would have had to prepare myself. The discussions were absolutely fine. I just decided that, for me, now is not the right moment. Question: So it's only a pleasure deferred, not cancelled. You will surely play a big role with Bayern. Is there a timetable yet? Lahm: At the moment there's no schedule. For me it's certain that from the summer I'll be my own man. I can look after other things, keep my ears open, look around and meet with other people. That's what I want to do. I've been at the club so long, so we'll see what happens in the future. Question: Has the lack of the playing time in midfield for Bayern rather than at right-back played a role in your decision? Lahm: That played no part at all. For me it comes from the feeling of being on the pitch every day. I have concerns about managing it in the next few months. But then we're talking about more than a year. I don't think that I’d be able to maintain the level that I'm used to and that my teammates still see me at. Question: How hard was the decision? 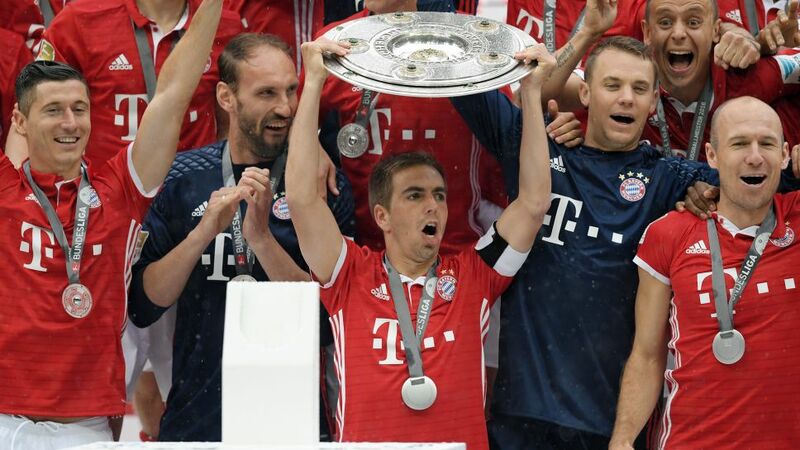 Lahm: It came about easily. I love football. Football has given me an awful lot. But I'm still not at the end. There are still another few months and I hope that they will be very, very successful. Sometimes it's just the end. I want to be the one who decides when that is. Click here for more FC Bayern news!